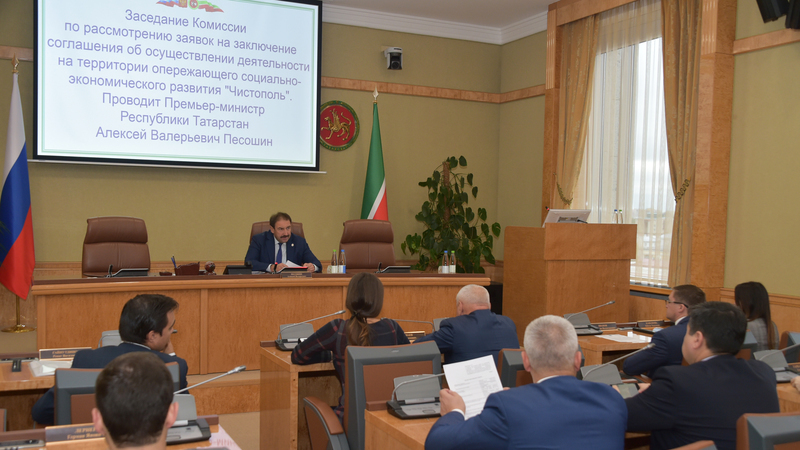 On October 3, in the Government House of the republic, Tatarstan Prime Minister Aleksey Pesoshin held a meeting of the Commission for the consideration of applications on conclusion of implementation agreements at Chistopol Priority Social and Economic Development Area. The Commission considered the application of the Giperion Company aimed at establishing of a new production facility, manufacturing pipes of low-pressure polyethylene at the Area. The total investment of the project will be 34 million roubles. According to senior managers of the company, the main suppliers of raw materials will be regional enterprises. The payback period of the project will be four years and the internal rate of return will be 43.3 per cent. It is planned to create at least 10 jobs under the investment project. Hyperion is planning to sell the products both in the Russian Federation and in the near abroad. The Commission members considered and approved the implementation of this project.